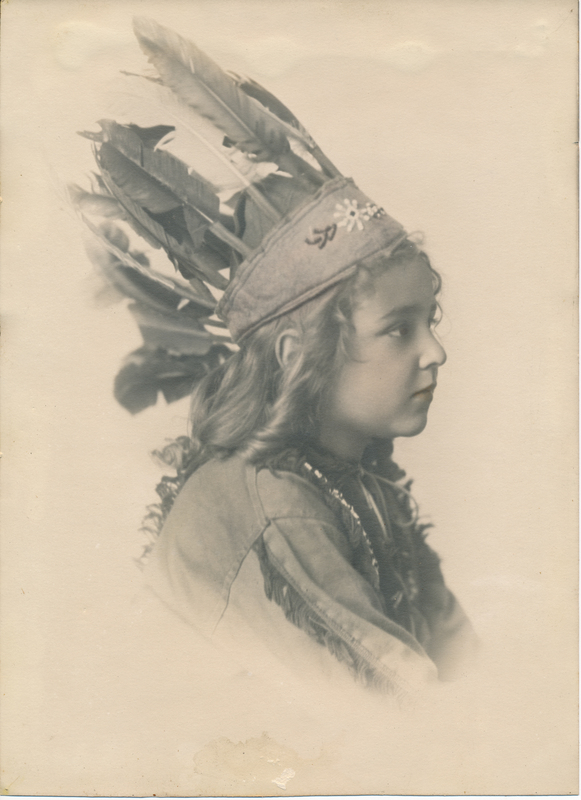 Description Photograph of Esther Hazel Glenn in feathered headdress. Esther was the granddaughter of Henrietta Susannah Carman Magone and the great-granddaughter of Waters and Lucretia Carman. Esther was born January 6, 1909 and died in 1969. Photo courtesy of Gary Glenn.